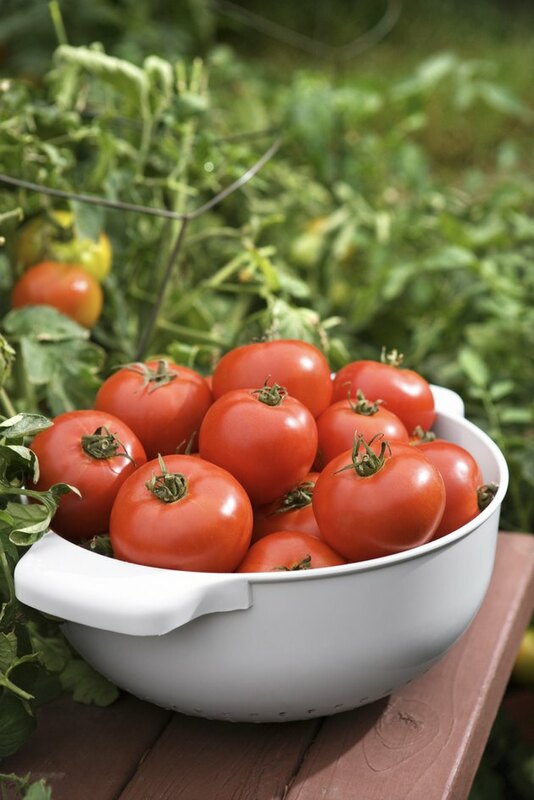 Not only are tomatoes (Lycopersicum esculentum) easy to grow, but they produce a lot of food in a small space, and the flavor of a grocery store tomato just doesn't compare with a homegrown tomato, picked fresh and eaten the same day. After working hard to plant and grow a healthy crop, you must turn your attention to how to properly prune tomatoes for best results. There are pros and cons to removing suckers. Suckers grow at the joint between the stem and a leaf. If not removed, a sucker will become another stem that will bloom and grow fruit. Stems grown from suckers become large, thick and heavy, just like the main stem of the plant, so leaving suckers to grow will require additional staking for the plant. Determinate varieties -- those that produce only a set number of fruit -- should never be pruned because doing so will greatly reduce their yield. But indeterminate varieties -- those that continue to grow and produce as long as conditions allow -- can be pruned. Because suckers will eventually produce blooms and tomatoes, removing them may reduce the total number of tomatoes produced. But removing them also allows the plant's energy to be focused on producing larger fruit that matures more quickly. Suckers are easy to remove when small by pinching off with the thumb and forefinger. Larger suckers can be removed with pruners or a sharp knife. Larger wounds make the plant more susceptible to disease, so it is ideal to remove suckers when they are small. Check plants and remove new suckers at least once a week to prevent them from getting too large. Also remove any diseased, pest-damaged or broken leaves to encourage healthy growth and prevent the spread of disease. If you decide to leave suckers, be prepared to provide a very strong tomato cage. Wire mesh makes a sturdy cage for large indeterminate tomato varieties. 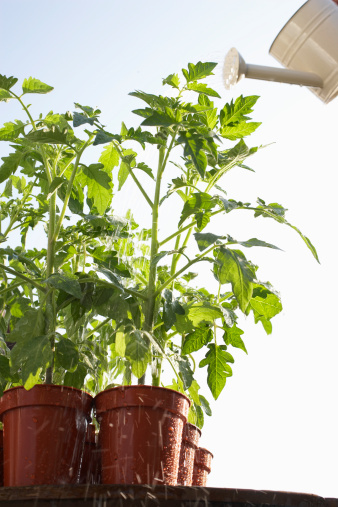 These larger plants will require more resources, so plan on feeding them more frequently with fertilizer specifically formulated for tomatoes, according to the package instructions.